So here’s the deal. 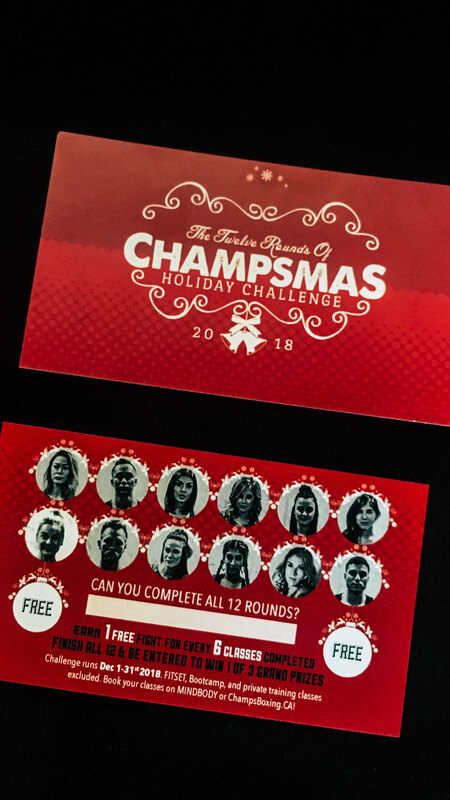 Pick up your CHAMPSMAS Challenge Card starting on December 1st. Get to know each Champs coach by attending their class in the month of December. For every 6 classes you finish (off the card), you’ll receive 1 FREE class. If only 3 people finish their cards, guess what?! Your chances are pretty good. You can finish up to 2 cards for the month (a total of 24 classes) for a better chance to win.